The US president-elect’s decision to turn his back on four decades of US protocol on Taiwan and speak directly to a president of Taiwan will stun policymakers in Beijing. Since his election last month, they have struggled to understand who is advising Donald Trump on Asia and what his China policy will look like. This move will turn concern into alarm and anger. Beijing sees Taiwan as a province. Denying it any of the trappings of an independent state is one of the key priorities of Chinese foreign policy. For four decades American leaders have respected Beijing’s red lines on closing down diplomatic space for Taiwan and acknowledging that there is only “One China”. 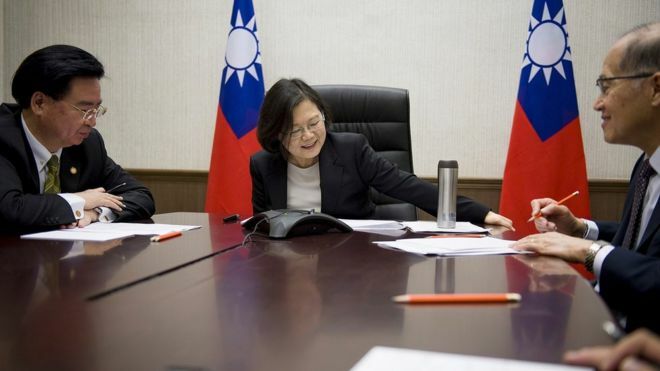 The phone call between Mr Trump and Ms Tsai is the first known contact between a US president or president-elect and a Taiwanese leader since the United States broke diplomatic relations with the island in 1979. Taiwan does not have a formal mutual defence treaty with the US, and American commitments on the defence of the island are deliberately shrouded in ambiguity. But as China’s military might grows, the island of Taiwan relies ultimately on the American security umbrella in East Asia for protection from invasion. This is already a sensitive time in the relationship between the mainland and Taiwan. Under President Xi Jinping, China has been putting growing economic and diplomatic pressure on Taiwan to move towards reunification. But despite Beijing’s efforts, the party it favours lost elections across the board over the past year. Opinion polls suggest that younger Taiwanese may be becoming more, not less, resistant to reunification with the mainland. Both before and after her election to the presidency in January, Ms Tsai promised to maintain the status quo in the cross-straits relationship, but Beijing does not trust her and has broken off official contacts with her administration. In this context, any shift in the relationship between Taiwan and the US is significant. In a statement released after the phone call, the president-elect’s office said the two leaders noted that “close economic, political, and security ties” exist between Taiwan and the United States. It also said Mr Trump “congratulated President Tsai on becoming president of Taiwan”. This content may seem uncontroversial on the face of it, but the very fact of the call and of an American president-elect congratulating a Taiwanese president will be quite enough to infuriate Beijing. A spokesman for the US National Security Council said afterwards that government policy had not changed but Mr Trump’s team did not inform the White House before the call. 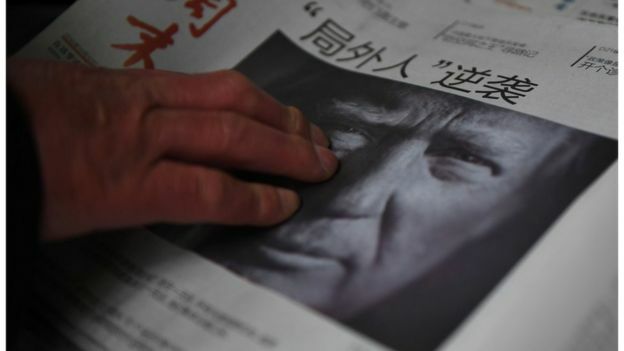 Mr Trump has said a lot of things… about “winning” against China on trade, about whether US allies like Japan and South Korea should pay more for their own defence, about quitting the regional TPP trade deal that was a centrepiece of his predecessor’s policy in Asia. Like many other governments, Beijing is puzzling over which of these things to take seriously. But there are few things more serious for China than the status of Taiwan. When it has worked out how to understand the significance of the phone call between Mr Trump and Ms Tsai, expect Beijing to “say a lot of things” in return.